For decades this imposing red brick structure at the heart of downtown Carson City was the U.S. Post Office for town. 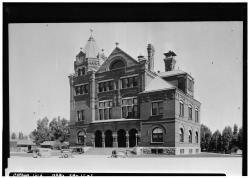 It also held a variety of federal courthouses and other federal offices. In 1972 the feds moved out and it was given over to the state, who used it as the State Library until the early 1990s. Now it is home to the Nevada Commission on Tourism. 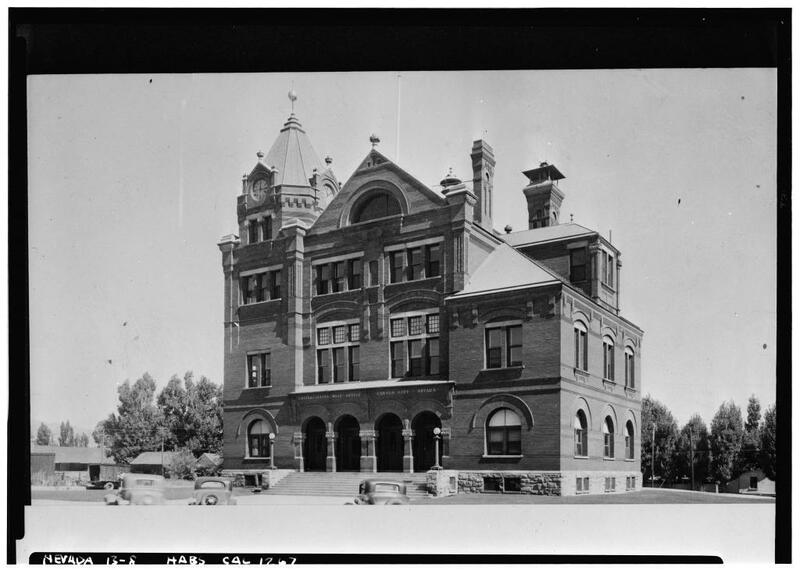 This photo is from 1940, when it was still a post office.